AVOD growth in APAC: What’s going on? Pay TV is declining. OTT is on the rise. And content consumption habits have changed. Even in isolation these developments would have a profound effect on video monetisation strategies. But together they represent a global seismic shift that’s currently being felt most in APAC, despite the region currently bucking the worldwide trend on pay TV access. VOD subscriptions in APAC are going to double in the next five years. Digital TV Research reckons there will be 407 million subscriptions by 2024, climbing from 221 million today. When that happens, AVOD will account for 52% of revenues. The tides are clearly changing when it comes to video streaming. Working with many telcos and content owners across APAC (including Indosat Ooredoo) and our team’s heritage at the forefront of APAC content and media start-ups has given us a take on what’s driving this. And it’s a combination of two factors. SVOD isn’t going anywhere. Just look at the ongoing success of Netflix around the world. In Asia Pacific specifically, SVOD revenues will nearly triple from $3,388 million in 2016 to $9,090 million in 2022. But there’s an invisible cap on how many streaming services people are willing to pay for. Consumers are experiencing what we call subscription fatigue, which I’ve written about for MarTech Series. While subscription fatigue sounds negative on the face of it, it’s really an opportunity for AVOD to step forward as a more prominent OTT monetisation model. Because consumer habits have changed and traditional OTT models have shifted, consumers that find themselves at the limit of how many SVOD services they’re willing to pay for are still interested in signing up for AVOD. It’s a win-win for service provider and consumer. The rise of OTT has stripped out content bundles. Pay TV models are declining quickly in the western world because consumers want to pick and choose what they pay for. Even with pay TV subscriptions still to peak in APAC, the long-term view is a steady decline in favour of IPTV or OTT TV services. And this has encouraged content aggregation to come back around. As much as consumers don’t want to be tied down to yet another streaming service, there’s more choice out there than ever before. They want a way to access their favourite content in one place, which makes AVOD a natural pairing for the multi-tenanted OTT business model. What is a multi-tenanted OTT platform? A lot of content never reaches consumers. Smaller and niche providers don’t have the marketing clout to push their media assets to the masses. They need a way to increase their content footprint. At the same time, service providers want to launch their own branded streaming services. They’re looking for a way to enhance the consumer offering. Multi-tenanted OTT brings these two pieces of the puzzle together, creating a hub of providers under one roof. Multi-vendor platforms, such as iVAN-MV, take the complexity out of managing a multi-vendor content relationship. Consumers can sign-up once and have access to all content offered by third-party owners. And it’s better than going it alone. Content providers have full control over their brand. 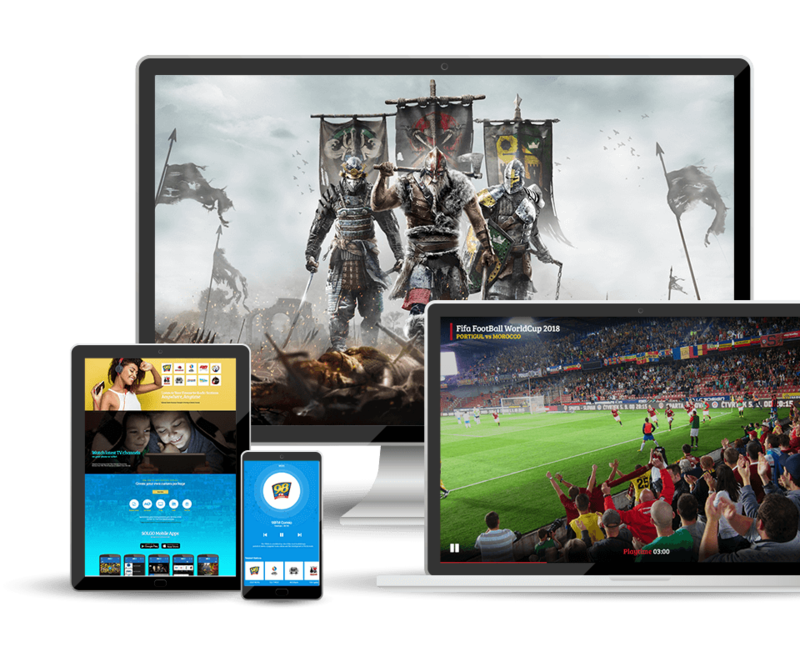 They can pick and choose the revenue model that best suits their needs, such as a mix of SVOD and AVOD, and operate under a revenue share model with the operator. We’re seeing this take shape across APAC. Indosat Ooredoo has adopted this model with the launch of its iStream service, powered by TV2U’s technology. Many others in the region are using the multi-tenanted business model too. As the internet becomes increasingly crowded with new content and streaming services vying for consumer attention, the aggregation benefits of platforms such as those delivered via a multi-vendor platform, adopting the AVOD model, will stand head and shoulders above the rest. And a key part of this success is due to advances in data analytics that these platforms are build on. The return on investment operators and content owners get from AVOD comes down to the quality of consumer and platform data at their disposal. The better the data, the more targeted the advertising. But amassing the right data is difficult. And getting it wrong is a death knell for an AVOD service. Targeting individuals rather than consumer groups is empowering the growth in AVOD taking place across APAC. That functionality depends on pulling insights from any consumer, no matter what device they’re using, and using those insights to understand how preferences and spending habits change over time. After all, it’s only by targeting the right consumer, with the right advert, on the right platform, and at the right time, that AVOD services can secure a high ROI. And nowhere is this more effective than APAC, since it is a mobile-first region. By tapping into content consumption habits, mobile operators can pair those with other consumer insights to create a more rounded view of the individual. When it comes to make this work in practice, platforms such as iVAN-X and iVAN-MV offer the advanced data analytics and consumer insight dashboards needed straight out of the box, as well as the drag-and-drop ad-roll capabilities to begin targeted advertising in minutes, putting us at the heart of multi-tenancy and AVOD adoption for OTT. Interested? Get in touch to see a demo of this technology in action.